At E3 last year EA debuted a title that stood out during it’s press conference. That game was Unravel. A physics based puzzle platformer, that is visually stunning, featuring beautiful landscapes inspired by northern Scandinavia. You play as Yarny, a character made of yarn which slowly unravels as you play. In the game you use your yarn to swing from tree branches and move objects to solve puzzles. Yarny is the representation of the ties that bind loved ones together. This is very apparent in the minimalist story, not one single word is spoken yet it’s message is carried across brilliantly. First things first, I’d like to talk about the gameplay. Since the game is heavily physics based, the quality of the gameplay is rather important. 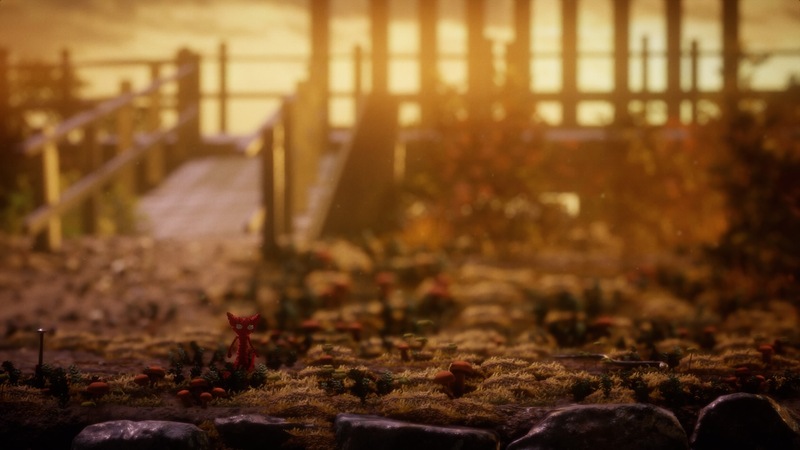 Unravel does not disappoint in this regard. The controls are tight and responsive. You always feel you have complete control of Yarny. This is especially important when solving some puzzles as precise movements and jumps are needed to progress. Without tight controls, the puzzles would be a nightmare to complete. The puzzles themselves aren’t overly difficult. One or two will certainly have you scratching your head, but overall, the difficulty is fair. You muct be careful with the solutions to some puzzles though. As Yarny is finite you can run out of yarn before making it to the next checkpoint. This will force you to double check some solutions and compel you to rethink the level. When the yarn runs out, Yarny looks distressed and emaciated. You can’t help but feel bad when this happens. The game has numerous collectibles scattered throughout each level. Some of these are a tad more difficult to acquire than others. This provides a nice little difficulty boost for those who desire it. While it may seem like there is a sole reliance on puzzle solving, there are many obstacles to navigate that will kill you and reset the checkpoint. 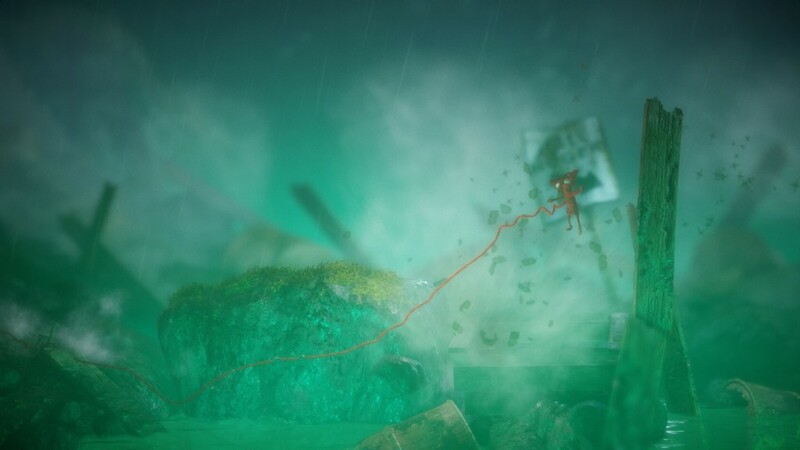 Checkpoints in Unravel are quite regular. If they were any more spaced out, repeating failed sections would be a nightmare. Yarny has to watch out for water, cockroaches,crabs, and toxic waste along with other hindrances. Most will result in an instant kill, but this is more of a minor setback than anything else. Navigating through areas with a danger of death provides a change of pace from the majority of puzzles in the game. To put it simply, this is a beautiful looking game. The graphics are amazing for a small release. There is a tremendous sense of warmth from the landscapes on display early on in the game. Conversely the game provides a great sense of despair later on. Yarny is capable of displaying a wide array of emotions despite it’s minimalist design. This is a testament to good character design and excellent animation. If you can’t get something across with simple body movements then you’re doing something wrong. The level design is wonderful. Everything has a use and is wonderfully rendered and extremely detailed. Nothing ever seems out of place. At some points you’d be forgiven for assuming the backgrounds were real. 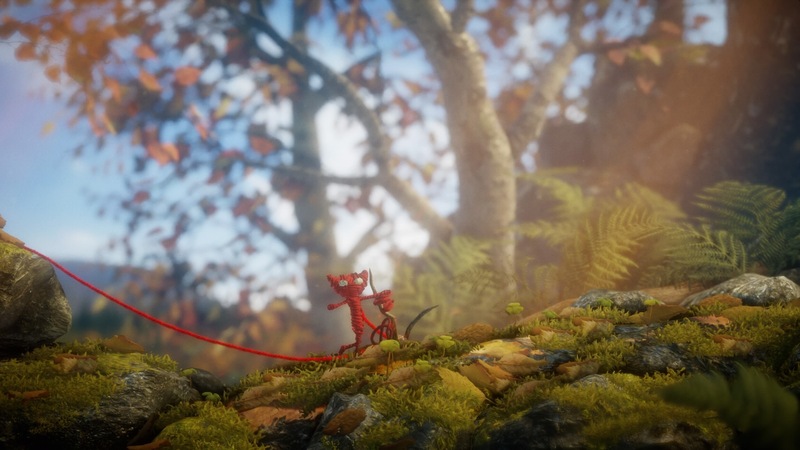 Unravel really is something to behold. The music is atmospheric and suits the game perfectly. It is reserved and relaxing, diverging in tone to be darker necessitates it. This helps the story come across to the player, you know when to feel happy and you know when you should feel sad. With the bulk of the story being told with still images, the music becomes an integral part of the narrative. It helps to complete the whole package that is Unravel. As it stands I’m not overtly crazy about side scrolling platformers but this one blew me away. It was a refreshing change from the titles I’ve been playing lately. The way the story is presented is wonderful. It’s reserved yet rewarding, you continually push on as more of the story unfolds. Unravel doesn’t hold your hand. This is true for both the story and the gameplay. The tutorial at the start is brief yet informative. Once that’s out of the way the game has you fend for yourself. A refreshing experience in the gaming world of today. If I were to compare it to one game it would be Limbo. 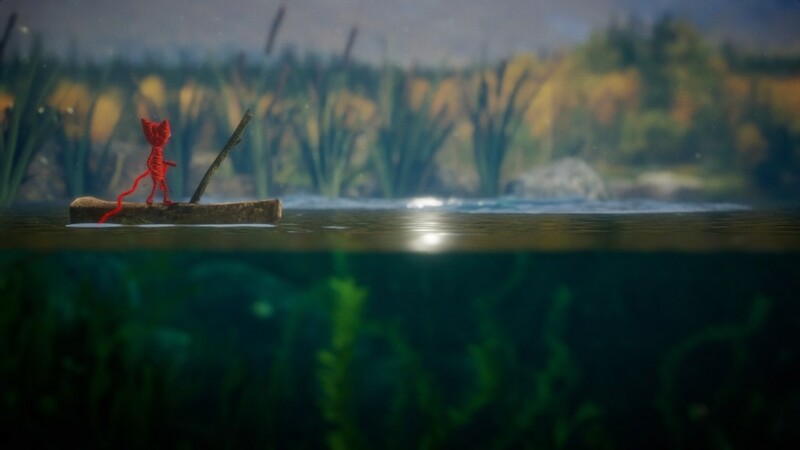 However, Unravel is very much the opposite of that in how it’s presented. It’s warm and welcoming, whereas Limbo is dark and cold. Unravel is certainly a game I’d recommend if you’re a fan of puzzle platformers or if the look appeals to you. It presents the story in a refreshing manner. Showing you the past as it happened in the form of old photos, rather than telling you about it. The game itself has about 6-8 hours of gameplay. This can be extended by hunting the collectibles. I believe this is more than enough content to justify the €19.99 price tag. If you like the look of this game in any way then I would strongly recommend you check it out. If you do, you won’t regret it. Unravel is available now on PlayStation 4, Xbox One, and Origin on PC. It was develepod by Coldwood Interactive and published by EA. The PlayStation 4 version was used for the purpose of this review.